He is known also as Grandfather Nurgle, the Lord of Pestilence and the Lord of Decay. He is the oldest of the four Chaos Gods and is the most directly involved with the plights of mortals, particularly humans who suffer so acutely from a fear of death, perhaps the oldest fear of that species. 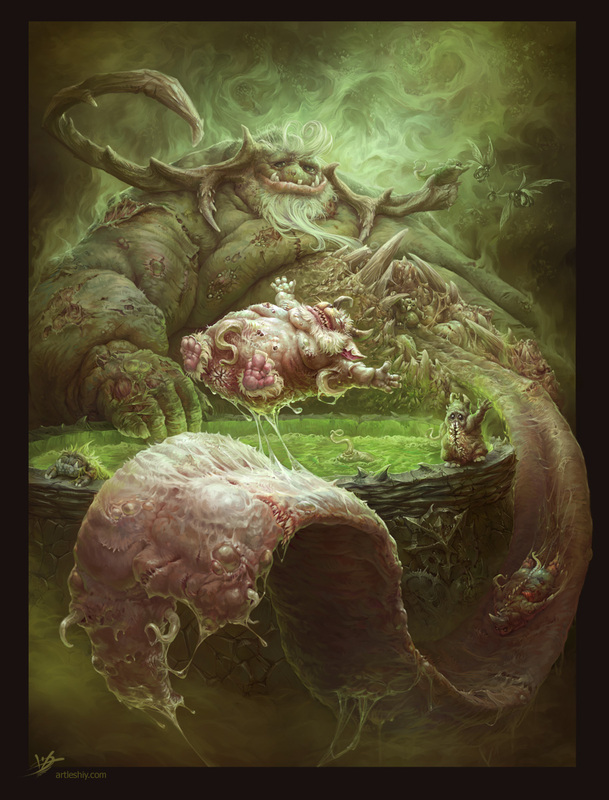 While Nurgle is the God of death and decay, to be certain, he is also the God of rebirth.